Susanne Schulz grew up in a musical family. 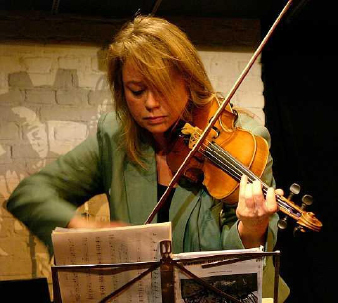 She became a multi stylistic violinist in various ensembles of areas – jazz, gipsy, latin music, as well as classical music, contemporary music and improvisation. Then followed numerous concerts and tours around the globe. Susanne Schultz also occurred at various stations and theaters. This created many CD’s, compositions and arrangements. In addition to her commitment Susanne Schulz directs children to seniors workshops for joyous interplay in bands, chamber music and orchestras.